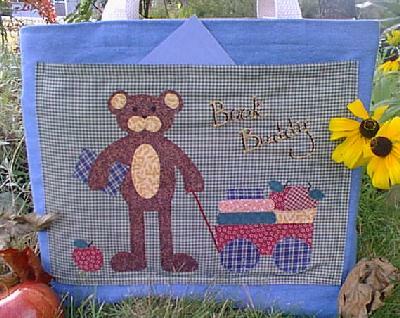 Decorate a book bag with our easy applique book bag design. One ready-made book bag or tote bag. 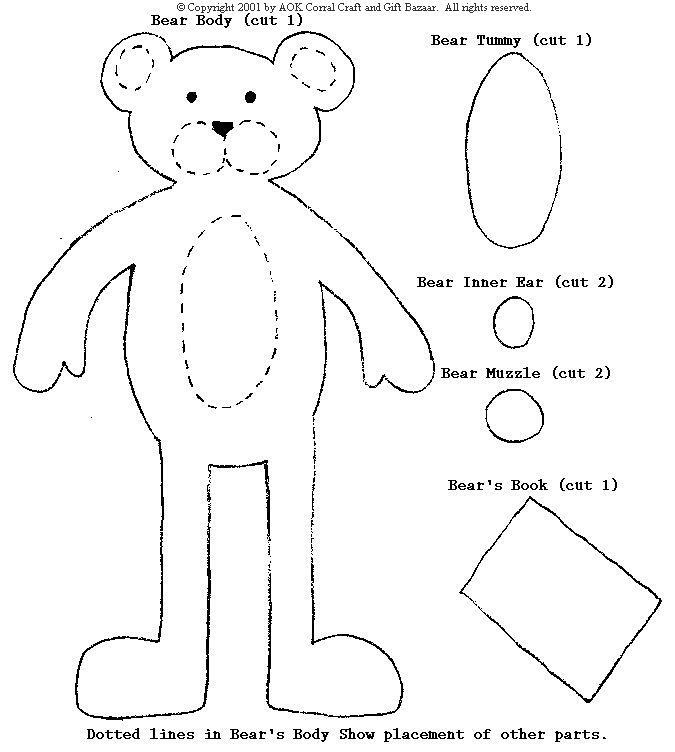 Cut out the bear pattern pieces, and the wagon pattern pieces. Arrange the pieces onto the pocket or the bag as shown in the design layout placement sheet. When each piece is correctly positioned, press a hot iron down onto the pieces and hold for 30 seconds. Do this over the whole design. 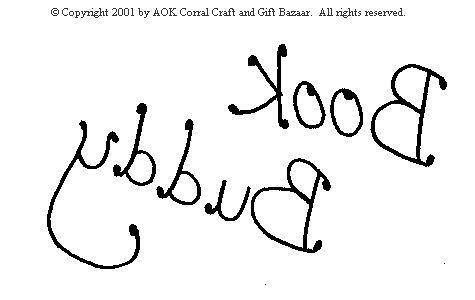 Trace the "Book Buddy" words onto a piece of tracing paper using the hot iron transfer pencil. Turn the paper over so that the penciled words are against the fabric and in the correct position. Press a hot iron onto the paper for about 60 seconds. 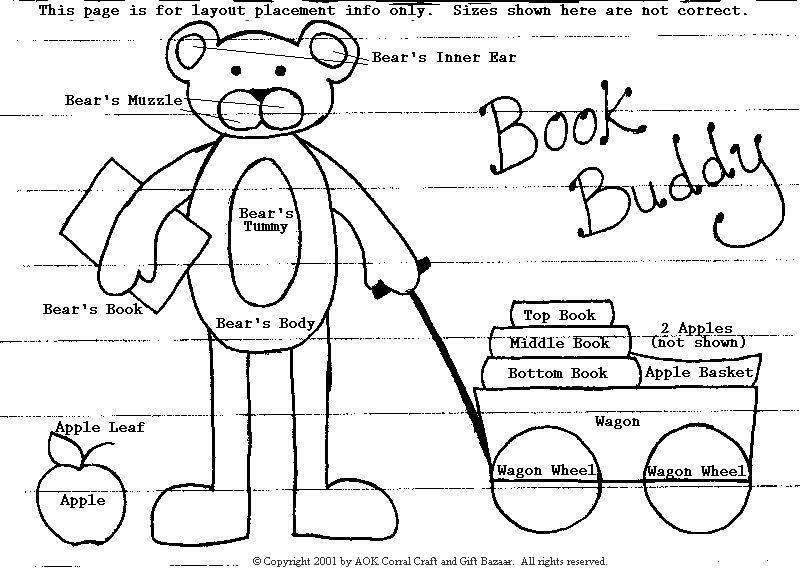 To make the wagon handle, use a ruler or book edge and draw a straight line from the bottom of the wagon to the bear's hand. Stitch the words and the wagon handle using a backstitch with 6 strands of embroidery floss. With wrong side up, fold the side and bottom edges of the pocket in 1/4" and press. Fold the top edge in 3/4" and press. Before putting the pocket onto the tote bag, stitch the top fold in place at 1/2" from folded edge. Pin the pocket, centered, onto the tote bag. 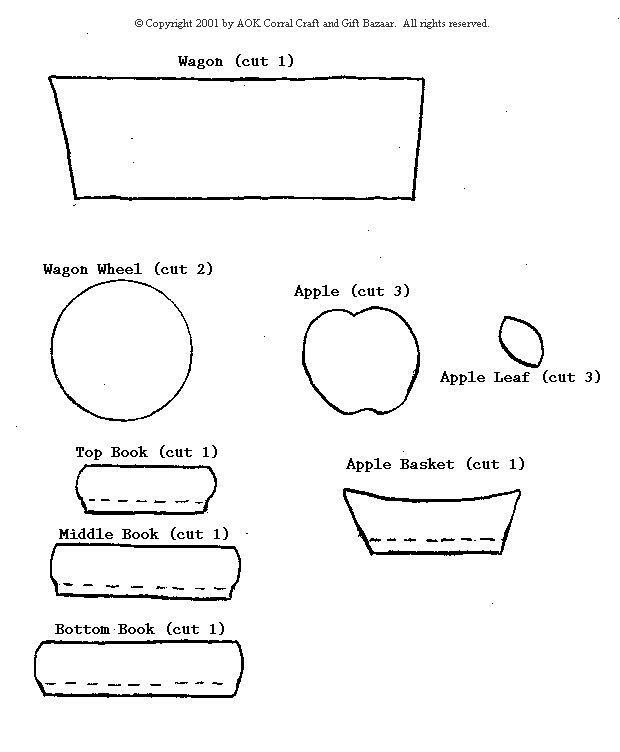 Use for books, school, or even a project tote.